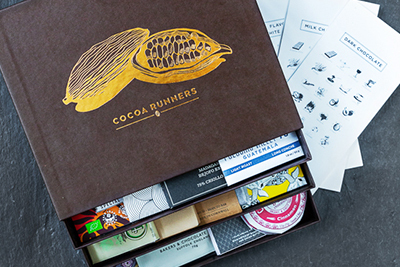 Cocoa Runners: Award winning chocolate club. Delivered to your door. Unwrap the world's finest craft chocolate. 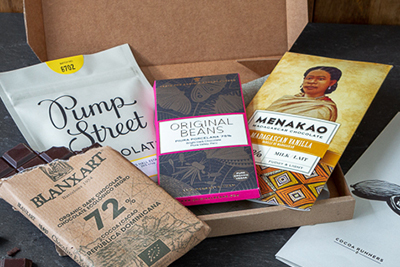 Receive four of the finest new craft chocolate makers, direct through your letterbox. Share the love of craft chocolate with that someone special, wherever they may be. Single estate bean to bar chocolate, crafted around the world. This Easter, Pump Street Chocolate has introduced a limited edition single origin chocolate bar with a super seasonal inclusion - hot cross buns! This Easter enjoy taste 24 single origin craft chocolates, made in small batches by makers from around the world. Send the mindful foodie in your life the gift of Jenny Linford’s book The Missing Ingredient and a selection of craft chocolate. 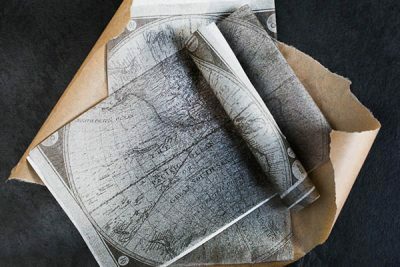 Join us for an evening spent investigating single origin craft chocolate, right here in London. Curated for Cocoa Runners by Great Western Wine,these unusual but incredible pairings are the ideal gift for the adventurous foodie. 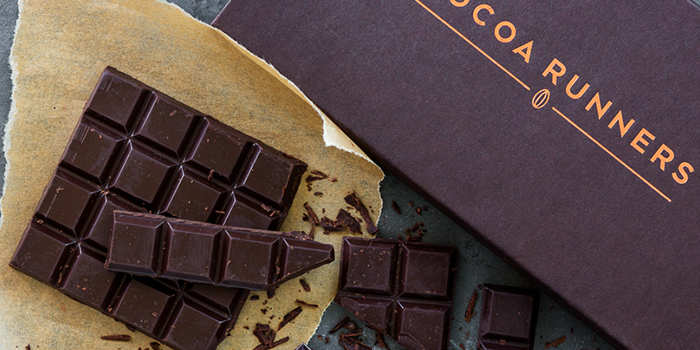 Find your perfect chocolate match with the Cocoa Runners Taste Test and discover the perfect chocolate bars for you.